The 9th Worldwide Chinese Life Insurance Congress will be held in Sydney, Australia from August 9 to August 12 2012 where Sol Hicks is slated to be the main platform speaker. been dedicated to assembling the Chinese elite financial community in an effort to further develop their talents and promote their growth in the global market. The ultimate cause of the organization is to elevate their progress and performance in the insurance industry. To that end, Solomon Hicks, seven-time #1 finisher, lifetime MDRT qualifier, and author has been asked to headline this year’s event. His wisdom and strength in the industry is an example that cannot be ignored. The organizing committee is grateful to have the corporate support of the insurance industry at large, and hopes, through events like this, to contribute for the prosperity of global financial community. The theme of the congress is “Readiness for Great Achievement.” To fully prepare for the brilliant future that waits, every professional must focus on pinpointing and sustaining their inner strength in readiness. Respecting traditions, maintaining a competitive edge, and honoring discipline unleashes the powerful positive energy to create and achieve great things. Sol Hicks has proven time and again that nothing is impossible for the man or woman who is willing to work for it. The Worldwide Chinese Life Insurance congress will create opportunities to share and learn, in an inspiring and encouraging environment. The goal is to provide practical professional tools for long-term industry development. Sol Hicks recently addressed several hundred pastors attending the 19th annual Full Gospel Baptist Church Fellowship’s annual conference in Atlanta, GA. The 6N1 Conference, so called because it was held at six different locations around the country simultaneously, was also streamed live online. Sol lead a session on succession planning for the group, and later served on a panel discussion addressing the leadership role of churches in their communities and for the nation. Solomon Hicks will be traveling to Jakarta Indonesia in August to conduct a selling workshop for insurance agents participating in their Grand Mentoring Day. As mentor to many of the agents there, Sol is familiar with the challenges and opportunities in that market. This event will be a chance to support and sharpen the participants, to help them finish the year strong and prepare them for bigger and better things in 2013. The event is the brainchild of industry leader Jeannette Ma, president and owner of the Ma Agency in Indonesia. Sol will be speaking on making MDRT and the Whole Person model of salesmanship. The event will take place in London, Ontario. 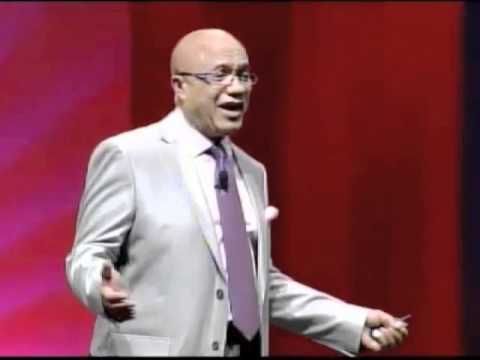 Top Life Insurance agent Solomon Hicks is unique among motivational speakers. His personal story—one of overcoming poverty and racism in the segregated south—is eclipsed only by his professional accomplishments. 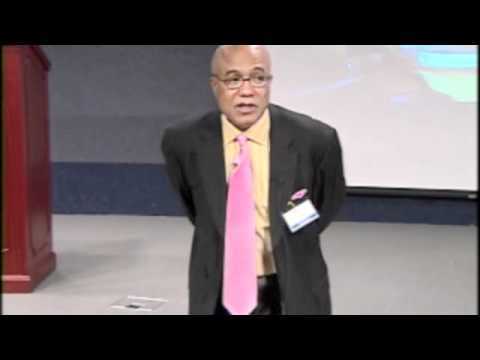 A seven-time number one finisher, Sol is a globally sought-after sales expert, author, and mentor to more than 150 men and women in the US, Europe, and Asia. Solomon, we very much enjoyed having the opportunity to meet you in Taipei. Your brightness and passion for the business, life, and family impress us very much. We thank you sincerely for sharing great insights and inspiring our attendants to move forward to the highest level. Thank you once again for the wonderful song. We look forward to collaborating with you again in other BW activities in the near future. Just wanted to share a few comments that I received from my study group members who witnessed your awesome presentation this past Thursday! You truly inspired them! It was another Solomon Hicks WOW meeting! - Darryl, Solomon Hicks is my hero thanks for sharing him. - I must say this meeting was one of the BEST I’ve attended. Great job Atlanta Agents! - Way to go “TEAM ATL” this one was over the top!!! - To the ATL Big Meeting Committee, this ATL Big Best Meeting has to be within the top 4 Meetings I have attended thru out my State Farm Career. The Wealth of information was incredible; the outpouring of tips and ideas was never ending. To those of you who could not attend you missed a treat & I hope to see you at the Next BIG MEETING. - The camaraderie is always a treat but to have the opportunity to meet & dine with one of the Greatest Salesman in the World was beyond measure. I felt so good speaking to this extraordinary gentlemen and I really got emotional each time I said this guy looks like “US” & how can I have been in this business and never heard of such a great man... ATL you have really raised the Bar!! !